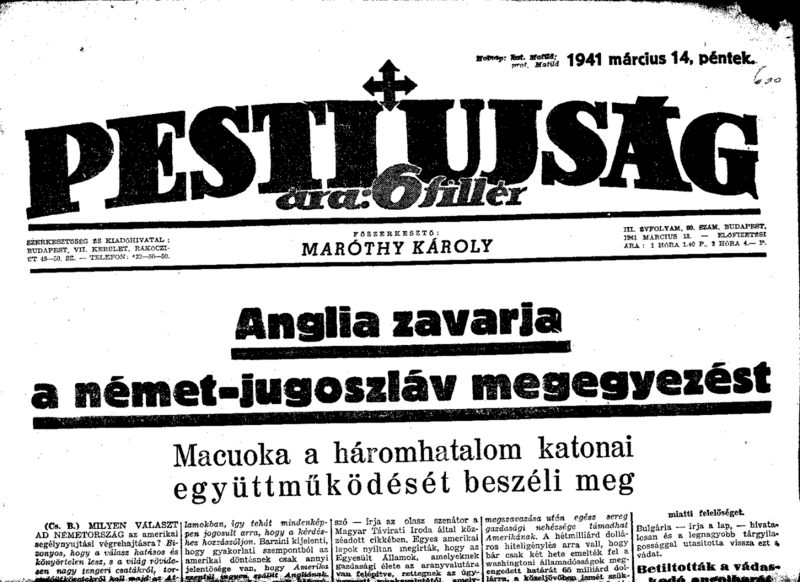 A lap első száma: 1967. január 3. A lap 1967. 01. 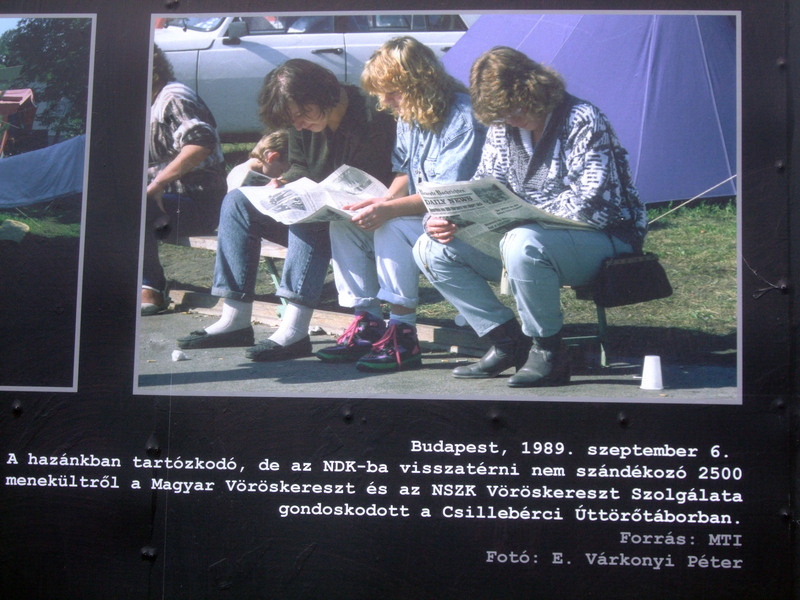 03-án, kedden jelent meg a Magyar Távirati Iroda közreműködésével. Kezdetben két nyelven – angolul és németül – volt olvasható mind a külföldi, mind a hazai érdeklődők számára. Elsősorban a hazánkban tartózkodó külföldieknek kívánt átfogó tájékoztatást nyújtani a politika, a gazdaság, a kultúra, és a sport terén. We wish our readers a Happy New Year, and take this opportunity to introduce our “Daily News – Neueste Nachrichten” – a title which clearly reflects the present newspaper’s programme. We have set ourselves the target of providing up-to-date news from all over the world for foreign visitors to Hungary, giving them a comprehensive vista of the last 24-hours’ world developments in the political, economic, cultural and sports fields. At the same time we would like to help them make their stay in Hungary more pleasant and useful. For this purpose, we are giving them, beside reports on the latest events in Hungary, information on worth-while sights and goings-on, as well as a regular programme guide. 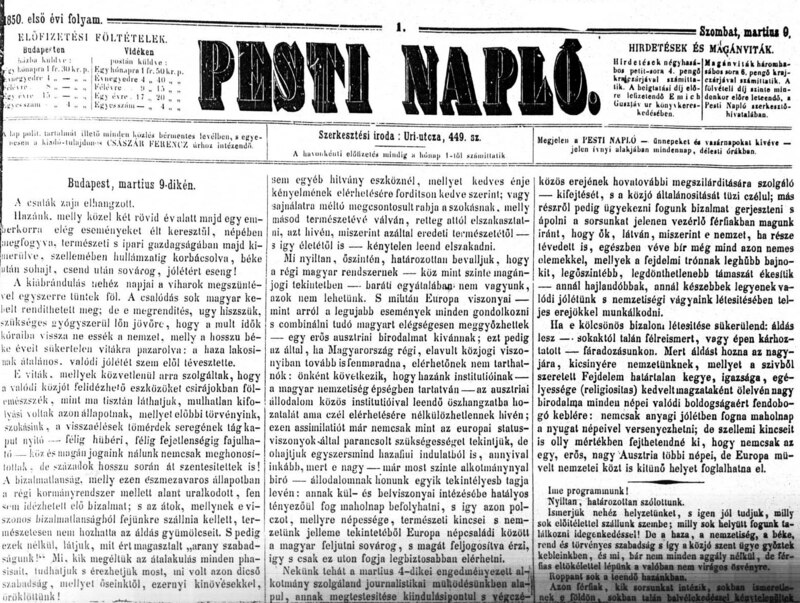 As regards our Hungarian readership, we would like to provide for them a means with which to keep up-to-date, and develop their knowledge of languages by reading original foreign-language reports received by the Hungarian News Agency MTI. 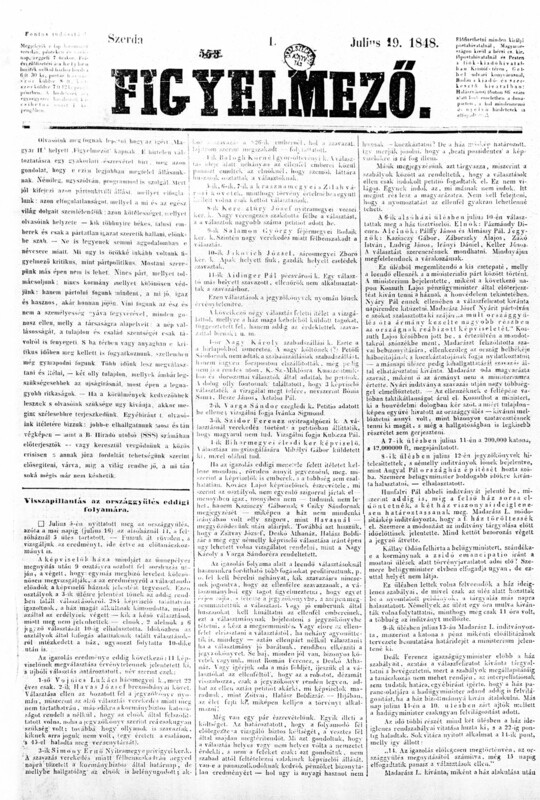 The language of these reports reflects the latest trends in English and German usage in a wide variety of spheres. 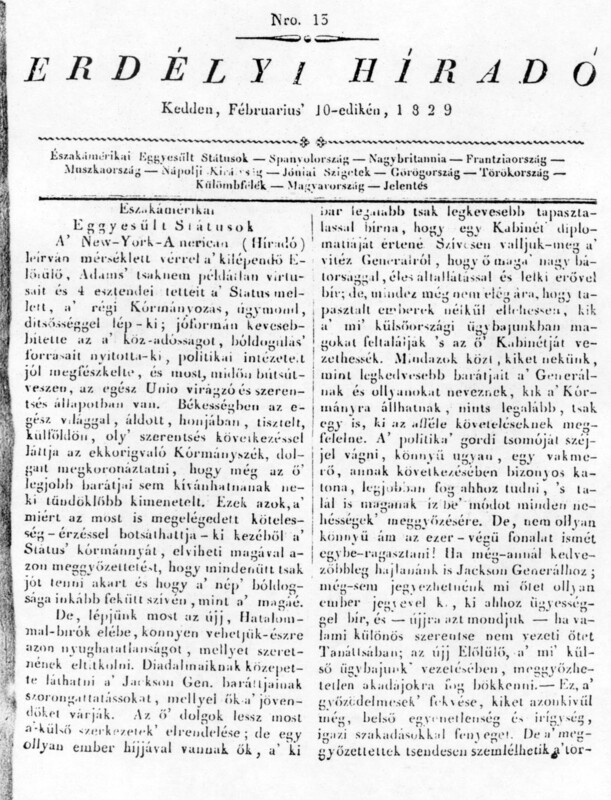 As the latest addition to the wide panorama of the Hungarian press, we would like to call the benevolent attention of our readers to the hoped-for success of this publication which, we feel, fills a gap and, in its own sphere, serves the great cause of our age: better understanding among the peoples. ich bin der jüngste Sroß im ungarischen Blatterwald. Bitte hilf mir, daß ich groß und stark werde. 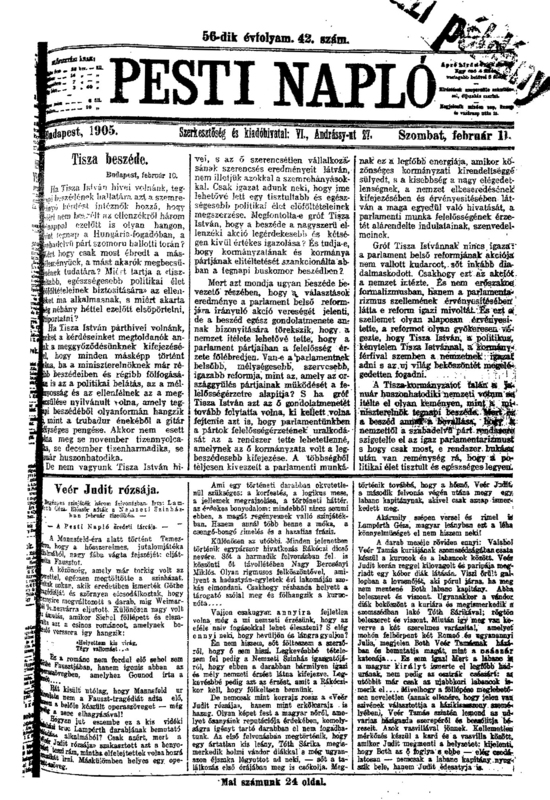 MTI, the Hungarian News Agency, publisher of the Daily News, has decided the temporary suspension of the publication of the paper as of July 1, 1994. No date for a relaunch has yet been set. 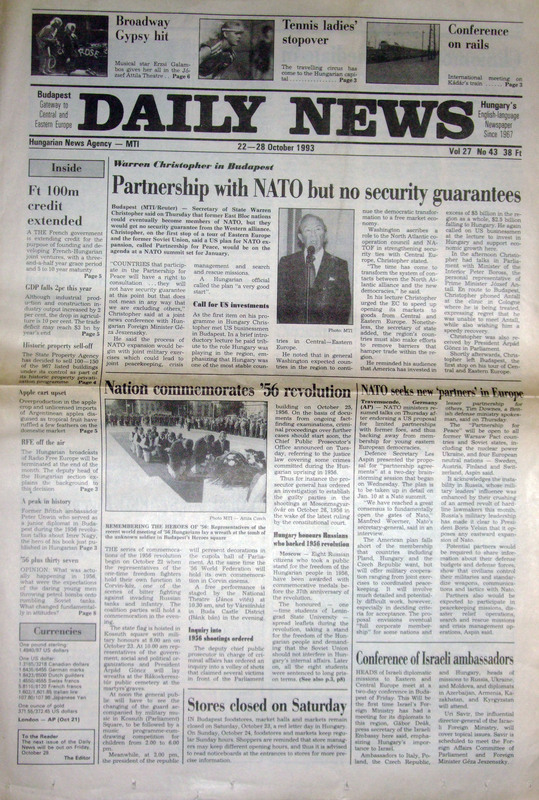 The Daily News has been published since January 1967. 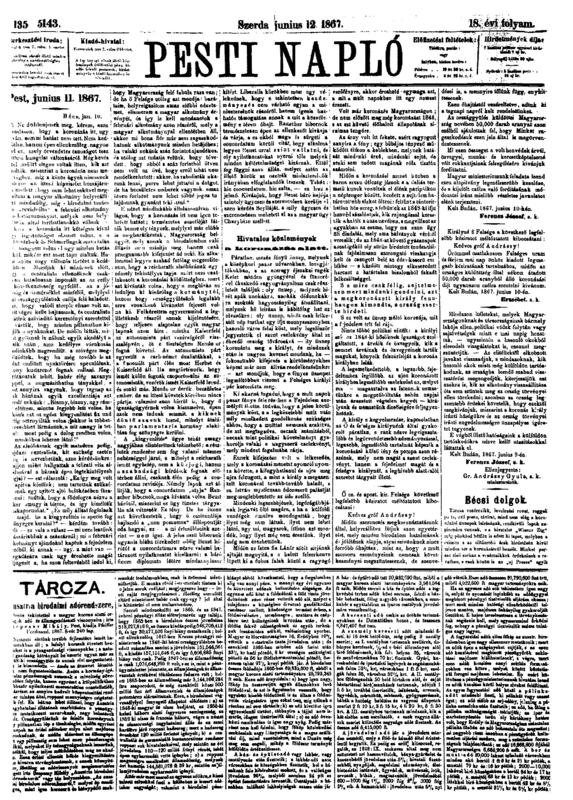 For financial reasons since 1991 the paper has had only a weekly edition and the German language pages were dropped in December 1991. 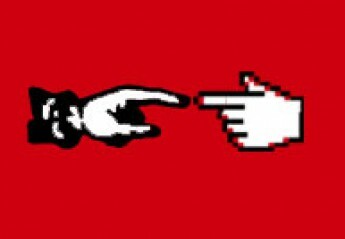 The management has had a series of negotiations to involve prospective investors in a genuine daily but with these efforts failing, it arrived at the conclusion that the news agency should not continue the publication of the paper on a go-it-alone basis.